Remember a time before Law and Order, Pelican Brief, or even John Grisham? Me neither. 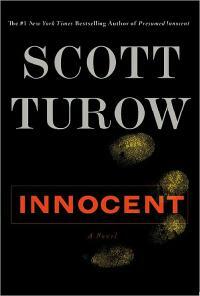 But Scott Turow remembers the world before Tom Cruise and the rest of America got legal. Because Turow was the man who wrote the novel that started it all. And 23 years later, he’s finally written the sequel: Innocent. Read my latest review at thefish.com… And be sure to give it five stars! This entry was posted in books, culture. Tagged books, review, scott turow, thefish.